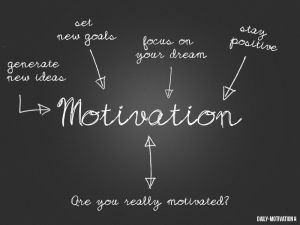 The number one question people ask me when I have told them about completing my degree online is: ‘how do you stay motivated?’ The honest answer is that I am most often not! People take schooling online for so many reasons, often it is not because they prefer it that way. Although online learning has tremendous benefits, it can be hard to navigate after a life time of traditional in-person learning (or a long time away from learning in general) ‘Motivation’ in this sense isn’t just the desire to do something, we all want good grades. Motivation in online learning means you are motivated to stick to your dinner plans so that you can carve out an hour of studying on the commute home, or to start using complicated scheduling apps so that you can keep it together, or waking up at 5AM to squeeze in study time. Motivation for online learners is multi-faceted and it can break easily. Here are some tips, mostly taken from this Guardian article. Find a planner you like, work out your weekly schedule and stick to it! You will be able to finish each day knowing you are on track and that is so helpful. Don’t make studying a chore, find somewhere you like to be. I personally like to sit at bars or cafés with a nice snack or drink. This helps me feel like I am taking time for me (which I am!) I also study at specific spots, this helps me get into work mode. Figure out a way that works for you. Personally, I do my readings on Mondays and then space out my classes for each day of the week once I get used to their schedule. I also do things like make sure the dishes are done before I sit down to study. Set yourself up for success! Your work can maybe help you pay for courses or allow you to manipulate your schedule to allow for more study time. I personally enjoy studying in the mornings so I pushed my start time to 9:00 AM instead of 8:00, this gives me from 5:00AM-8:00AM to study (and then get ready as fast as I can! )Having those three hours every single day keeps me ahead of the curve. Check out our peer mentor program, Queens meet-ups and Facebook groups! Be realistic, students often set their standards very high. Sometimes it is OK to skip a chapter reading if you know you can make it up before the test. Be careful, but be kind to yourself and your other commitments.